Wood is an extraordinary building material that can last hundreds of years, especially old-growth wood, when given a little care. 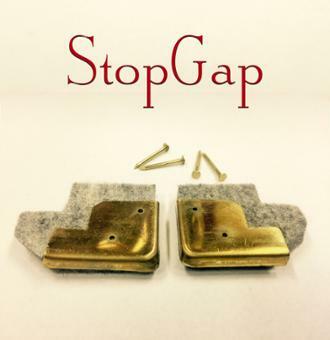 Just like any material, when exposed to the elements, it can slowly degrade. But, you can bring old wood back to life by using boiled linseed oil and prepare it for a few more decades of service life. Don’t let grey, weathered wood convince you to replace it when all it needs is a little TLC. 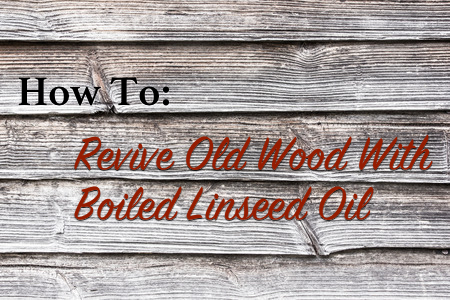 Other than rot or physical damage, boiled linseed oil is a great treatment for old dried out wood. It also makes a fantastic pre-treatment before painting to extend the life of your paint job. No, it’s not actually linseed oil that has been boiled. Linseed oil, also known as flaxseed oil, is a colorless to yellowish oil obtained from the dried, ripened seeds of the flax plant. The oil is obtained by pressing the seeds to withdraw the oil. Linseed oil is a very slow drying oil, and so to make it more readily useable, some guys in lab coats mixed a combination of raw linseed oil, stand oil (linseed oil that has been heated to near 300 °C for a few days in the complete absence of air), and metallic dryers to create a product that behaves much the same way, but dries before the cows come home. UV rays break down the fibers in wood, and after enough exposure, wood begins to turn grey from the sun’s effects. Paint and other coatings won’t adhere well to this grey wood, so it’s important to treat the wood before trying to paint again. Follow these few simple steps to revive that old wood and get it ready for some fresh paint or varnish. Using something like 120-grit sandpaper make sure there isn’t any dirt or loose wood fibers lingering. Sanding also helps open up the pores of the wood to prepare it for the oil. Wipe off the dust, and you’re ready for oil. Mix up a 50/50 solution of boiled linseed oil and turpentine. Liberally apply the mixture to the wood using a cotton rag. You can brush it on if you’d like as well, but I prefer a rag. Make sure you apply a good amount to the surface, not just a light coat. The oil will penetrate the wood and soak in quickly. If the surface is still shiny after a couple minutes, wipe off the excess and set your rag out to dry. Read this post about how to safely deal with rags soaked in boiled linseed oil because if not handled properly, they can spontaneously combust! Let the oil dry for at least 24 hrs, but 48 hrs is even better. Don’t put a second coat on because with extra coats, the oil can build up on the surface and create adhesion problems with your paint. One coat is more than sufficient. Using a good oil-based primer, cover the bare wood after the oil is cured. Using an oil-based primer rather than a latex primer helps create a bond between the boiled linseed oil and oil primer, which gives your paint job an extraordinary bond. Latex primers are water based and don’t work as well with this system. You can finish with a latex finish paint on top of the oil-based primer, but stay away from a latex primer in this situation. Not just a pre-treatment, boiled linseed oil works great as a wood finish itself. It won’t give you a super hard and durable finish like polyurethane or varnish, but with enough coats, boiled linseed oil will eventually build up a beautiful and protective finish. 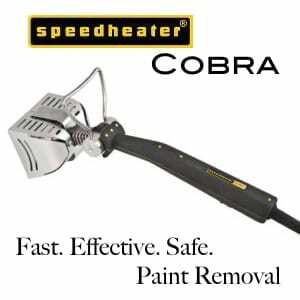 I’ve used it for years, as well as my own custom blends to finish furniture and table tops with great results. Boiled linseed oil gives a very “close to the wood” finish where you can really feel the wood instead of layers of plastic poly on top. The trick is to add multiple coats over the course of a week or so. Usually giving it about 24 hrs between coats, you’ll build up between 3 and 6 coats of oil depending on how thirsty the wood is. Boiled linseed oil really brings out the deep rich color of the wood and accentuates the grain. Even less attractive woods look pretty decent after being oiled. Finish the project with a coat of wax for even more protection and you’ll have professional looking results. Here’s some projects I’ve finished with Boiled linseed oil below. Excellent article. This is certainly an innovative way of reviving old wooden surfaces. to seal a large area and how best to apply? I have two wooden garage doors (probably 30-50 yrs old) that face south. Grey wood and paint peeled off on the bottom 1/3. I’d like to recondition the bottom 1/3 before painting. Sand with at least 120 maybe more. Let dry for 2 weeks. Coat with either latex or oil paint. 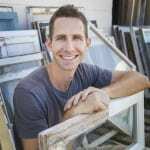 Same process for my 50+ yr old windows which are in sad condition. Apply linseed oil paint – 2 coats or more depending on exposure. I use Allback Linseed Oil Paint, and highly recommend it. I have an old willow table that we have used on our porch for years but has suffered in a new, hotter and drier climate. It still has bark, so I am disinclined to sand if I can help it. 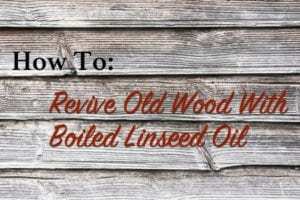 Can boiled or raw linseed oil help restore the wood before it becomes too brittle? Something else? Thanks! Is it safe to use boiled linseed oil on a wooden frame of a greenhouse? What are your thoughts on using blo on an old hardwood floor. It’s grey in many areas and the owner doesn’t want to refinish the floors. Would it restore some luster to the floor? 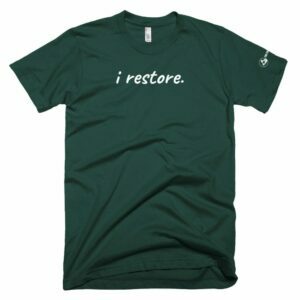 Would it affect the possibility of a uniform refinish in the future? Just moved into a town house with wood burning fireplace (insert). It has a wood mantle and it is so dried out. Will boiled linseed oil be safe. The mantle is a manufactured one but it is wood. Hello, I have two small tables tath were made by my great-grandfather by 1890; one is made of pine and the second one it seems to be white cedar. These tables have been exposed to weathering (mostly the sun,not rain because I live in a desert) for more than 20 years. Some pieces are very damaged, so I have to replace them. In order to restore those tables, which is the best option, raw lineseed oil or the BLO? I have a 1913 Victorian style farm house that had all the lead based paint ebated approximate 12 yrs ago. The exterior is now greyed and brittle. To sand down to healthy wood at this point would be very labor extensive. Would the BLO provide good adhesion to the greyed wood or do I still need to sand? There’s a lot of old wood, mostly in quite good condition. I have received conflicting advice. 2) Use boiled linseed oil mixed with turps as you recommend. 3) Do not use linseed. Use Tung oil, it is better & lasts longer. Some wood is high & hard to get at without scaffolding. 4) Do not use linseed or Tung. Use an oil with a UV filter in it. This advice all came from specialists! It is important to define the terms correctly. Tung oil and linseed oil are modified vegetable oils – they will dry to some extent but do not create a hard film like a varnish or paint will. These oils can condition wood as Scott is describing in his blog – but only to prep for further work on exterior surfaces. Old material (grey wood is decayed wood) must be removed – sanded to ‘bright’ for proper adhesion of paint or varnish. Some ‘oils’ or wiping varnishes are thinned varnish that behave something like a true oil but still create a film that resists water but also traps water as described by one of the ‘experts’. 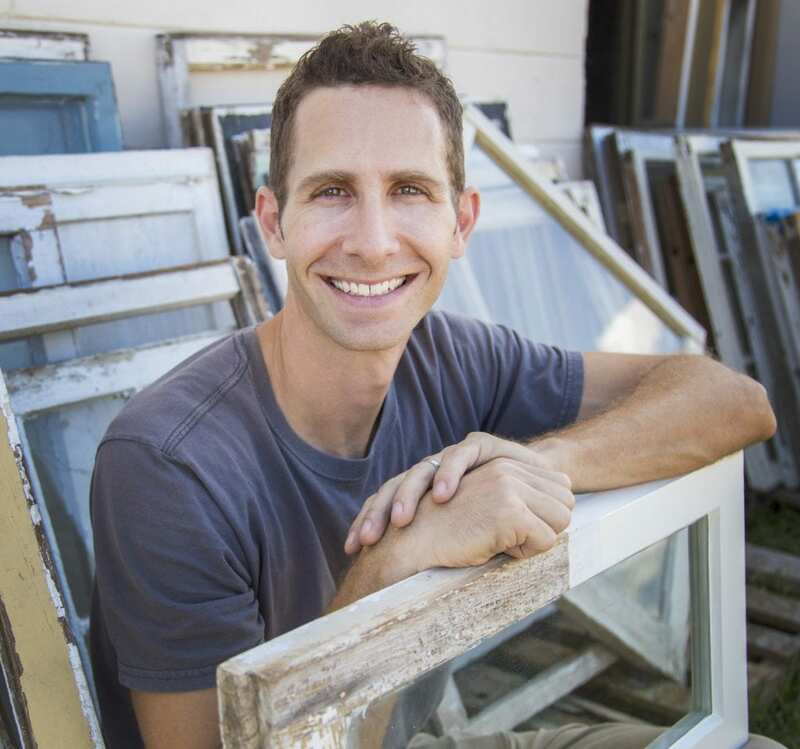 A clear finish is not a durable exterior finish even with UV resistant additives. Finishes will always eventually crack or fail in some way, paint is more forgiving because it can be sanded and painted again. A clear finish must be removed and re-applied. Neither linseed oil nor tung oil (usually not actually tung oil but a modified varnish) will work as an exterior finish and can create mold and mildew issues with some formulations and locations. Untreated wood that is permitted to dry more often than it is wet will last a long time but will eventually degrade over time with exposure to UV, moisture, wind etc. I have keychains made out of wood slices. Would linseed oil work well to protect them and bring out the colors? Thanks! Thanks for this informative article! Also recommend https://www.okchem.com/news/trisodium-phosphate-cereal.html for reference! You can BLO to revive the interior of the sash but I would stay away from doing the outside of the window for fear of mildew. Anywhere that you have Grey wood and intend to paint it you’ll need to sand it until you get healthy wood again. If you don’t intend to paint then BLO could be a good potential treatment. The only way to remove Grey wood that I have found is through sanding but maybe someone else has an idea. We had terrible black stains from water and we were able to remove them by patiently applying this a few times just on the stains. Thank you so much.. I will try it and be careful. 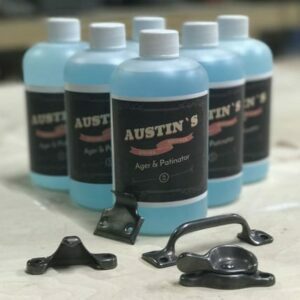 What did you use to refinish? And did it take over the wood bleached part? Do I need to do anything special? Note you have to remove whatever finish is on the wood to get to the unprotected stain. Preferably sand that area by hand a little to make the solution penetrate better. Use multiple coats, letting the wood completely dry in between. We are finishing all our old wood first with raw linseed oil (recommend purified version from solventfreepaint.com), then with boiled linseed oil (from same place), then with wax or varnish depending on location. The raw linseed oil has a smaller molecular size than the boiled, so penetrates deeper. The floors are 160 yrs old and very dried out so the oil makes a huge difference. Hope this helps! I have a cut from an 300 year old oak tree that I want to make a outside table . It has been dead for at least ten years. It is cut into 21/2 in. Slabs. The wood is really dry. How do I prepare the wood to bring it back to life? Sand and then oil with BLO. That will really bring out the wood’s natural beauty. I know that I am a broken record on this subject, but we have found a huge difference between using the raw linseed oil you can buy from solventfreepaint.com rather than BLO – even their BLO. The raw oil has a significantly small molecule size and thus penetrates deeper into the wood. With enough patience you can really make that wood come alive again with several coats, and it protects the wood from water immediately. It is a beautiful thing to see happen. If the slab is rough or old, of course it should be sanded first. And do NOT then coat it with any finish which is hard and does breathe. how much area would 1 litre of linseed oil cover? Can I get different finish color using Boiled Linseed Oil on the same type of wood? For your wood finish recipe, which brant/type of Polyurethane would you recommend for an interior table? Epifanes is my favorite polyurethane on the market. BLO won’t change the color unless you add a stain but it definitely gives a deeper richer color to the wood. Do you have a fix for areas of exterior wood that have mildewed after using boiled linseed oil? Clean with water/Jomax mixture or a mix of 3:1 water to bleach. Mildew can occur if you used non sterliized, non filered linseed oil. Products you can buy from the store are usually quite contaminated with things that attract mildew. But since you’ve got it now I would beg to differ with Scott on the solution. Particularly Jomax, but also a bleach solution, are harsh solvents which can damage wood. Instead I would recommend using the full strength Linseed Oil Soap from Allback (solventfreepaints.com), then washing with a diluted solution which they call Linseed Oil Soap Extra (there is a recipe online) which contains Boric Acid. In future, whatever Linseed Oil paint you use should have zinc added which also prevents mildew. Another solution which is safer for the wood is D/2 Biological Solution (LimeWorks.com) which does not contain solvents or bleach. i used boiled linseed oil once and it just never dried. months later it was still tacky. what did i do wrong? you probably put it on too thick and didn’t wipe up the excess. I did that in the closet, and it probably took 3 hours with 0000 steel wool to get rid of the tackiness. On the rest of the floor, I wiped it on to a 3×12 ft patch then went back to the start and buffed it with 0000 steel wool. Then I repeated the coat. A lot easier to buff on the second coat. Then I waxed it. I did this on really dry untreated brazilian cherry that I bought a decade and a half before i got around to using it. My husband and I are buying an 1895 farm house. It has original cedar siding with an ad on that has newer matching siding. The house has never been painted. My husband likes the look of the weathered, graying wood, however, I have always dreamed of a white farm house. Would you suggest a technique like this to freshen up the wood, or would it be okay to paint the exterior? I mentioned raw linseed oil in an earlier comment, but I would like to bring it up again. Also the importance of the linseed oil being pure. The stuff you can purchase in the store can have lots of things which are actually not good for the wood (or your health) like synthetic dryers . Please see the sight http://www.solventfreepaint.com for the whole story. We have an 1860 farmhouse which was neglected for a very long time. It is so wonderful to see the wood come back to life! The raw oil penetrates deeper in the wood, and we’ve found that there is no problem using epoxy in places which have been oiled. The price of the purified linseed oil may seem steep – but it is a one time expense which save your floor indefinitely. It is also a much healthier option than anything with solvents! What would you do for 1895 pine floors that have been painted brown? Least expensive method to make them look good. Least expensive is repaint again, but most attractive is to refinish the floors. I’m wondering why you don’t mention raw linseed oil, since because of its smaller molecular structure it penetrates farther into the wood. I have been using a mixture of equal parts BLO, distilled white vinegar, and gum turpentine on all my wood for years. I was taught this recipe by a furniture re-finisher and have had great success with it. The top of the bookcases under windows around my fire place were dry as a bone. The first coat I let sit and then wiped off to get any dirt off. It then took 9 more coats before the wood stopped absorbing the mixture and they look great 5 years later. Very cool! Never heard of adding white vinegar before. 1. I have a 100 year old house with oak paneling that is dried out, would BLO work on refreshing the look of the walls? 2. Can BLO be applied over old varnish that is in poor shape? Mark, BLO shouldn’t be applied over other old finishes like Varnish, Polyurethane, shellac, or wax but on raw wood it would be a great option. Would you apply the BLO before or after making repairs with WoodEpox? Probably before. BLO tends to just float on top of the WoodEpox and not do much. Would this process work for the exterior of a log cabin? The cabin is about 180 years old and constructed out of poplar logs. It should work just fine! You’ll always want to do a small test area first but if that turns out the way you want it then I would say go ahead with the rest of the house. For exterior work if it’s not painted boiled linseed oil can have a tendency to mildew in wet and humid areas so check that out first.